Virginia Democrats don't have a lot to celebrate lately. Three of their top leaders are facing scandals. Two admitted to wearing blackface (well, one isn't exactly positive), while the lieutenant governor is accused of multiple counts of sexual assault. In sum, the state party is a mess. Meanwhile, Virginia Republicans seem to, at least at the moment, have their act together. While their Democratic counterparts try to do damage control on their series of scandals, the Virginia GOP is full steam ahead with a legislative agenda they say will boost citizens' bank accounts. 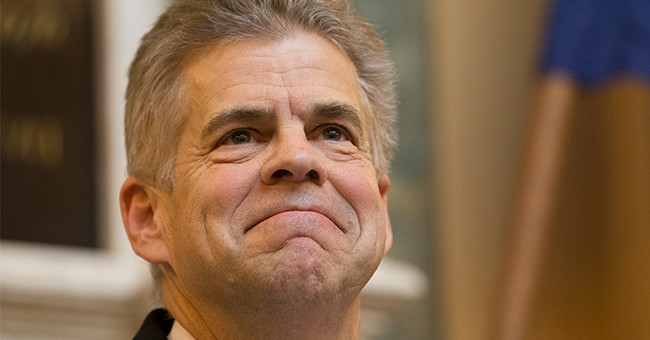 Speaker of the House of Delegates Kirk Cox promoted their tax relief efforts. It will be "the second largest tax cut in Virginia history," according to Senate President Pro Tempore Stephen D. Newman (R-Bedford). Yet, it was Northam who wanted to devote a good chunk of the money in "one-time spending on water quality, school construction, and broadband." He also wanted to make a tax credit for lower income Virginians fully refundable. Republicans rejected both of those plans. Northam, as noted, has bigger issues than seeing his tax plans voted down. His attempts to exonerate himself from those racist photos in his medical school yearbook have so far failed, especially his last explanation, in which he said he couldn't possibly have been the individual in the picture because he's left-handed. Seeing the governor's scandal unfold, Attorney General Mark Herring tried to get ahead of his own unflattering media by admitting he did blackface in college. Meanwhile, Lt. Gov. Fairfax denies sexually assaulting a woman at the 2004 Democratic National Convention, despite her very detailed and disturbing account of the encounter. A second woman came forward with separate allegations on Friday. Should all three Democrats resign, Cox will be next in line to assume the duty of governor.